Democratic convention • Delegates meet in caucuses in the morning, while speeches and voting are scheduled in afternoon. 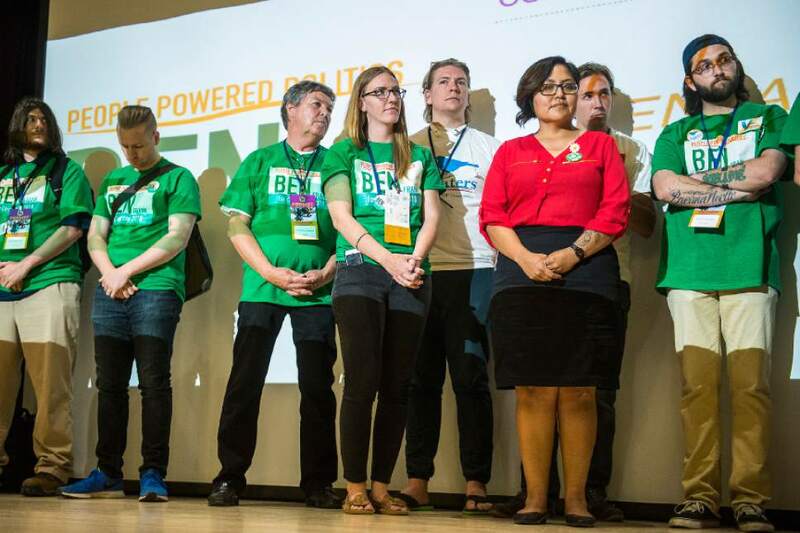 Chris Detrick | The Salt Lake Tribune Supporters of third congregational district candidate Ben Frank listen as he speaks during the Utah State Democratic Party 2017 State Organizing Convention at Weber State University Shepard Union Saturday, June 17, 2017. Chris Detrick | The Salt Lake Tribune Third congregational district candidate Carl Ingwell speaks during the Utah State Democratic Party 2017 State Organizing Convention at Weber State University Shepard Union Saturday, June 17, 2017. Kathie Allen ï 3rd Congregational District candidate Chris Detrick | The Salt Lake Tribune Supporters of third congregational district candidate Dr. Kathie Allen listen as she speaks during the Utah State Democratic Party 2017 State Organizing Convention at Weber State University Shepard Union Saturday, June 17, 2017. Chris Detrick | The Salt Lake Tribune Third congregational district candidate Dr. Kathie Allen speaks during the Utah State Democratic Party 2017 State Organizing Convention at Weber State University Shepard Union Saturday, June 17, 2017. 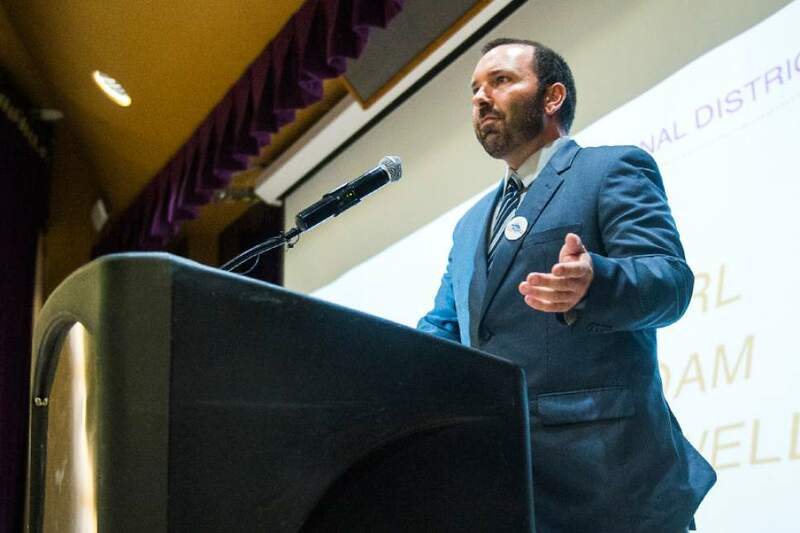 Chris Detrick | The Salt Lake Tribune Third congregational district candidate Ben Frank speaks during the Utah State Democratic Party 2017 State Organizing Convention at Weber State University Shepard Union Saturday, June 17, 2017. Chris Detrick | The Salt Lake Tribune Third congregational district candidate Carl Ingwell waits to speak during the Utah State Democratic Party 2017 State Organizing Convention at Weber State University Shepard Union Saturday, June 17, 2017. Chris Detrick | The Salt Lake Tribune Third congregational district candidate Carl Ingwell speaks during the Utah State Democratic Party 2017 State Organizing Convention at Weber State University Shepard Union Saturday, June 17, 2017. 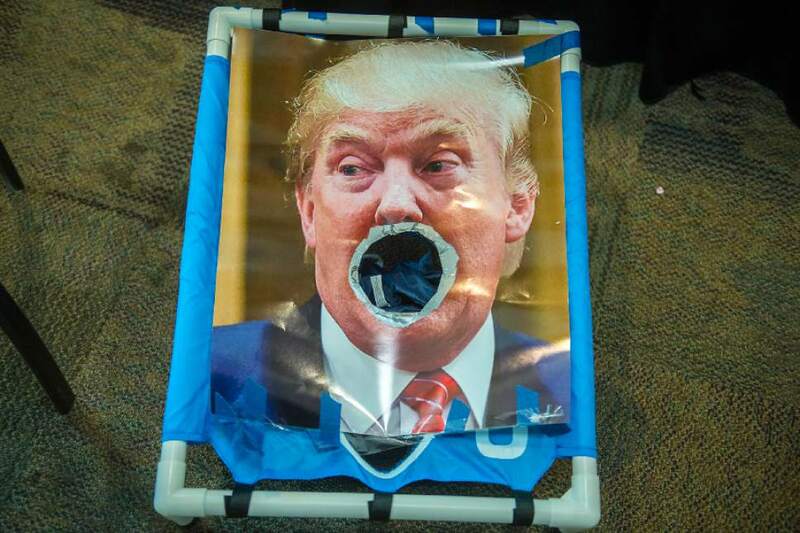 Chris Detrick | The Salt Lake Tribune A Donald Trump Cornholl set seen at the Utah State Democratic Party 2017 State Organizing Convention at Weber State University Shepard Union Saturday, June 17, 2017. 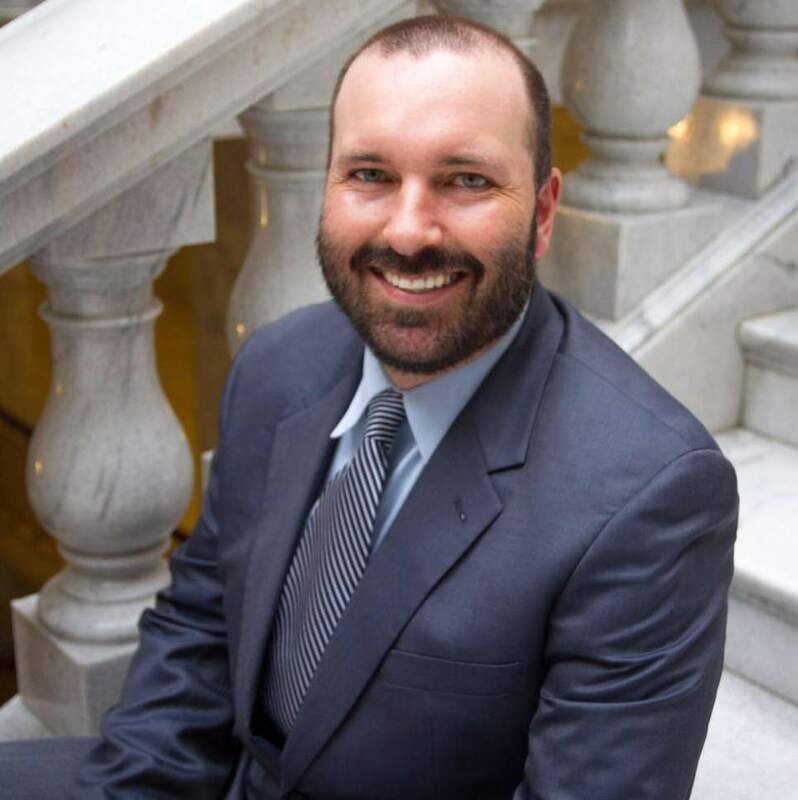 Ben Frank • Candidate for 3rd congreational district Carl Ingwell ï Candidate for 3rd congressional district Courtesy | Kathryn Allen Kathryn Allen. Chris Detrick | The Salt Lake Tribune Chairman Peter Corroon speaks during the Utah State Democratic Party 2017 State Organizing Convention at Weber State University Shepard Union Saturday, June 17, 2017. 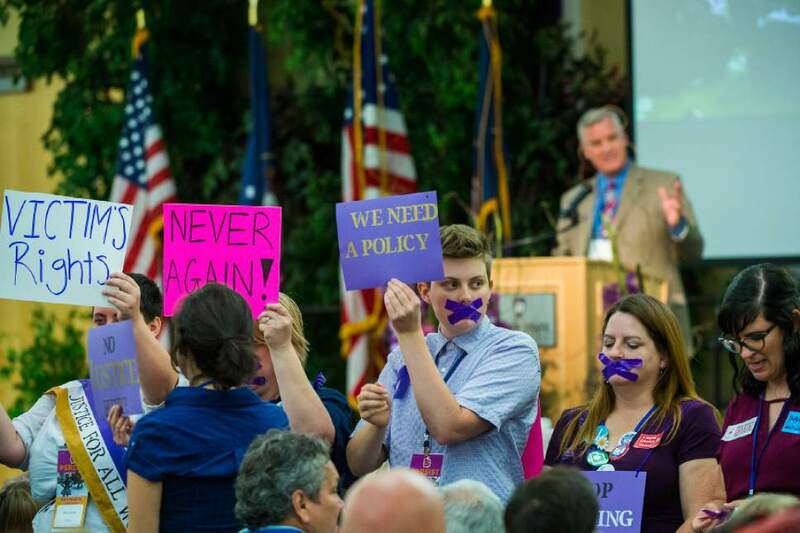 Chris Detrick | The Salt Lake Tribune Protestors hold up signs and demonstrate as Chairman Peter Corroon speaks during the Utah State Democratic Party 2017 State Organizing Convention at Weber State University Shepard Union Saturday, June 17, 2017. They were protesting against the Democratic Party's response to the allegations against Rob Miller. 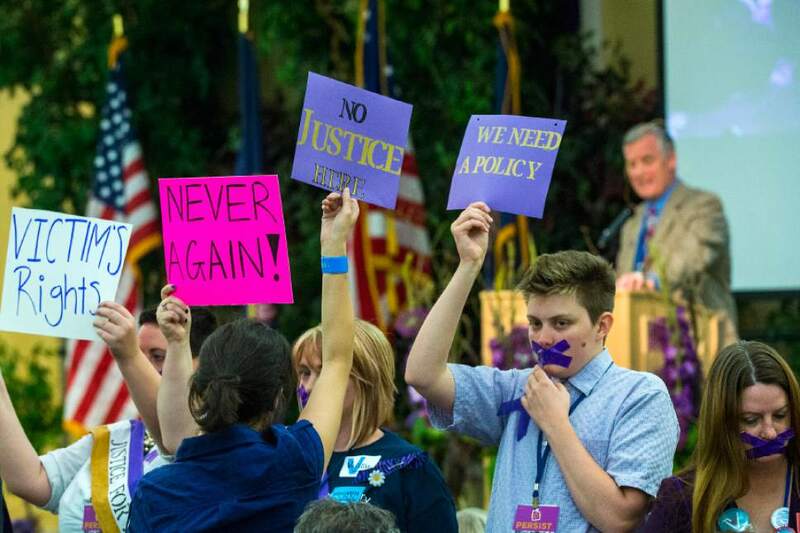 Chris Detrick | The Salt Lake Tribune Protestors hold up signs and demonstrate as Chairman Peter Corroon speaks during the Utah State Democratic Party 2017 State Organizing Convention at Weber State University Shepard Union Saturday, June 17, 2017. They were protesting against the Democratic Party's response to the allegations against Rob Miller. 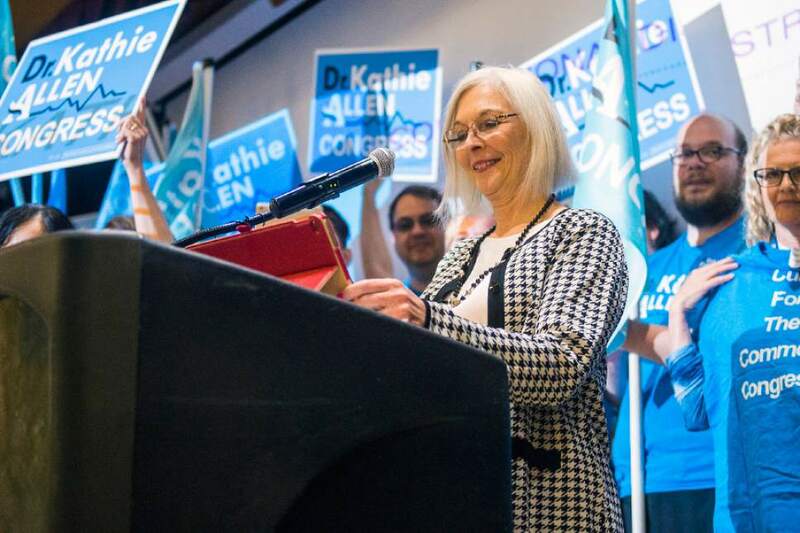 Ogden • Medical doctor Kathie Allen  a fundraising powerhouse with nearly $700,000 in the bank  won the Utah Democratic nomination Saturday for the special congressional race to replace outgoing Republican Rep. Jason Chaffetz. Allen said, "Our message has resonated far and wide" as she has raised money from all 50 states. She spoke out for protecting immigrants, ensuring women make their own health decisions, and calling for truthfulness and accountability of government officials. 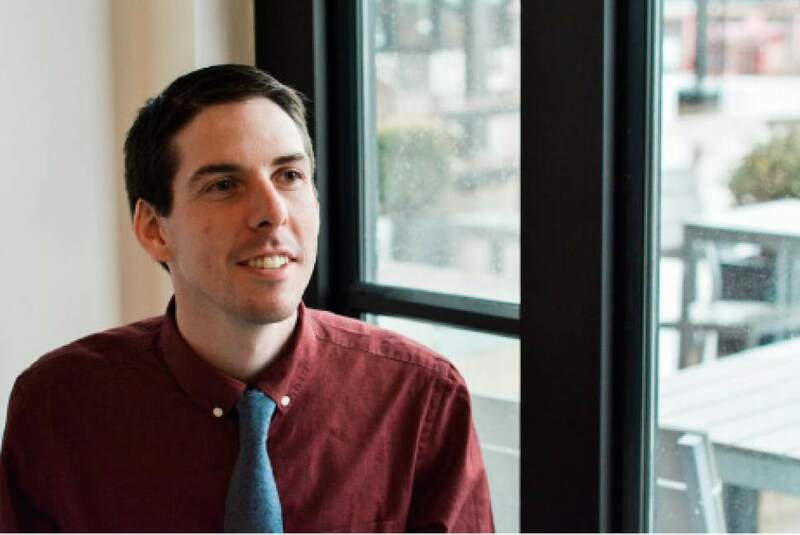 Democrats will have no primary election in the race for Chaffetz&apos;s 3rd District seat. 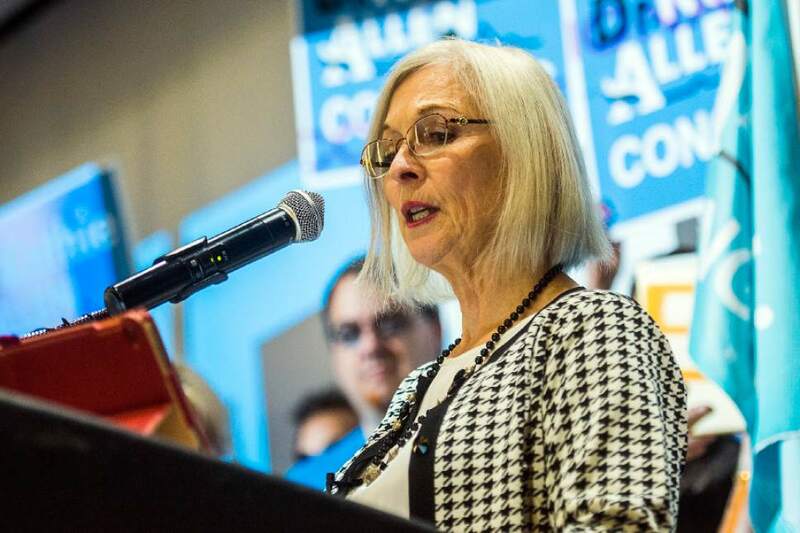 Allen needed only a plurality under Democratic rules to win on the first ballot, and she claimed 77 percent of the vote against progressive activist Ben Frank and environmental lobbyist Carl Ingwell. 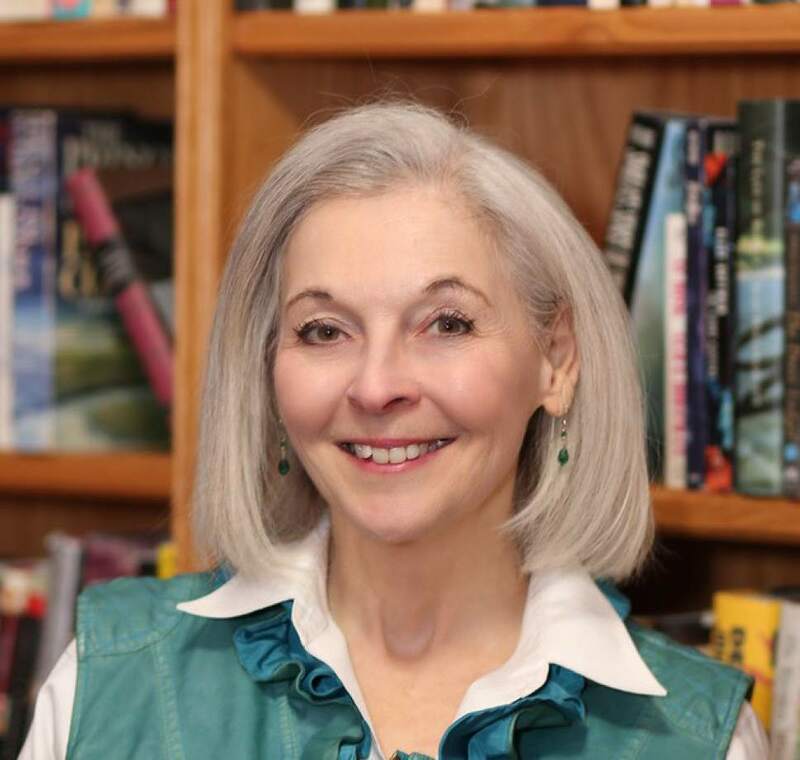 She will face the winner of the Republican primary  a contest that includes former state Rep. Chris Herrod, who won a special GOP convention Saturday, and Provo Mayor John Curtis and investment adviser Tanner Ainge, who both qualified for the ballot by collecting signatures. "I have a two-month head start" to campaign with all voters because she has no primary, Allen said. With $700,000 in the bank, Allen has more money than any candidate in any party. The most raised by the Democrats Chaffetz faced during his five races for Congress was $60,000. Meanwhile, Frank had raised $5,000 and Ingwell $1,000 in the race against Allen. Both tried to attack Allen on Saturday for her large bank account. "We are not a funded campaign. 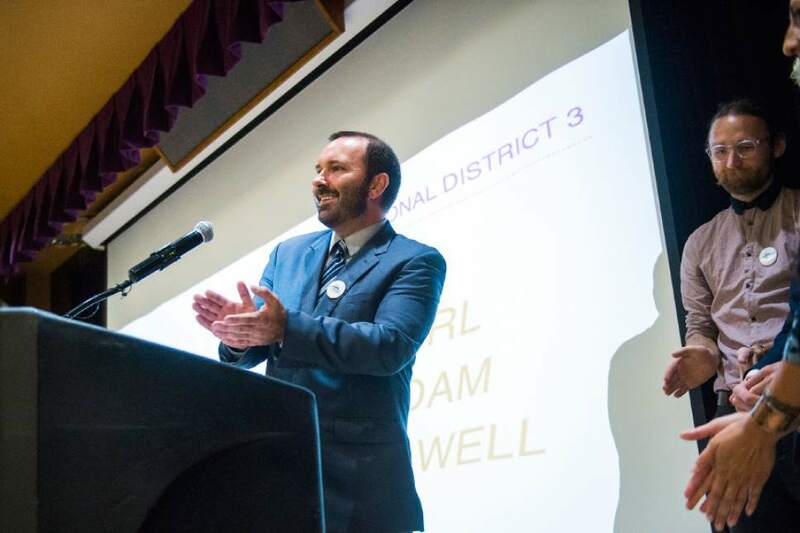 We are a principled campaign," Ingwell said. 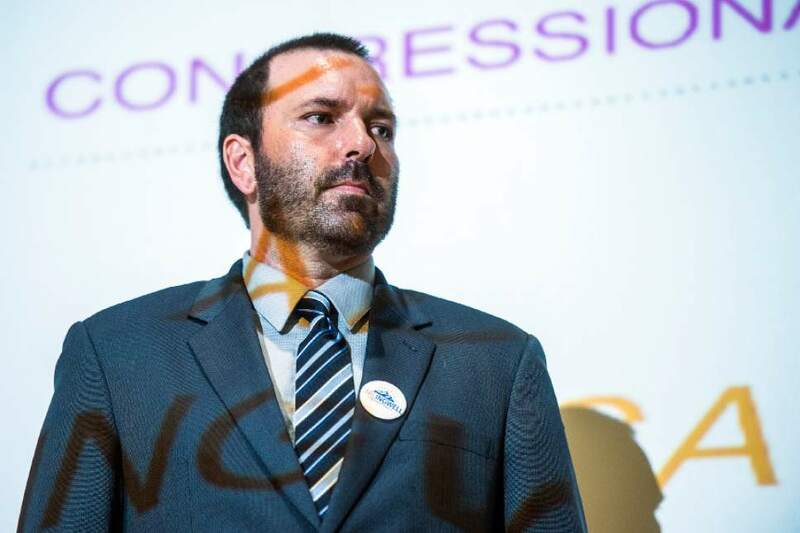 Similarly, Frank told delegates, "Let this be a battle of ideas and not a battle of money." Allen&apos;s fundraising benefited from controversy over Chaffetz&apos;s March 7 comment on national television that low-income Americans should prioritize spending on health care "rather than get a new iPhone." 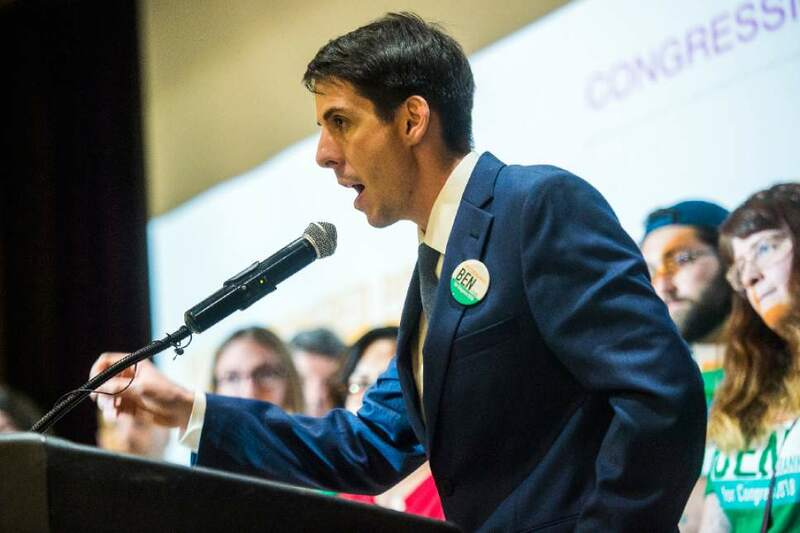 Outraged Democrats nationally helped Allen&apos;s campaign fund grow from $20,000 to more than $400,000 in less than a week. Of the $564,000 that Allen collected through March, 88 percent came from people who donated less than $200. For donations larger than that, about 82 percent came from people outside Utah, including a few celebrities like Nancy Sinatra. 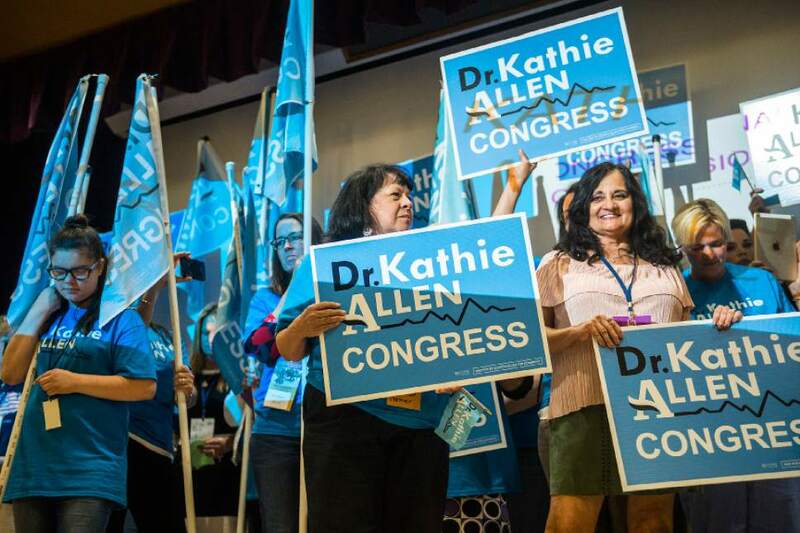 Allen told candidates Saturday that she continues to attract support, money and interest from Democrats around the state and nation  and listed possible reasons why. "Could it be that you like me believe that government and its officials should tell the truth … believe that women should make their own health decisions … that guns do not belong in the hands of domestic abusers … [and] support immigrants who will work with us to realize the American dream?" 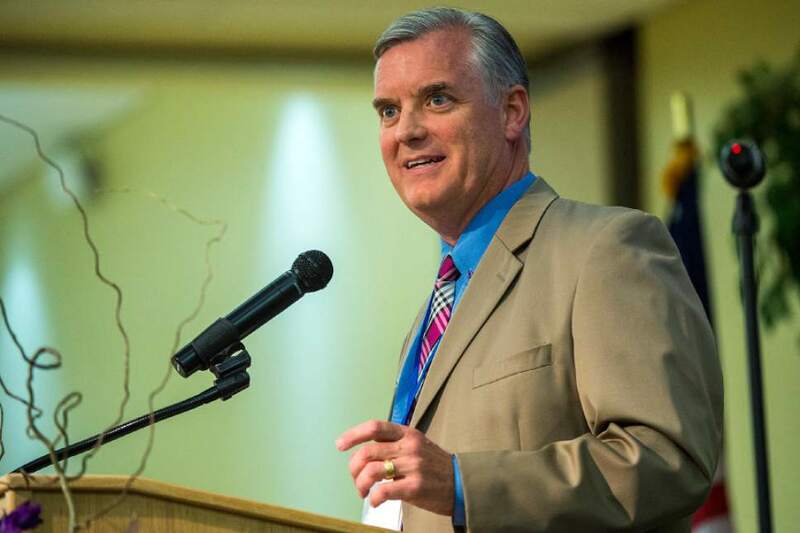 Although the 3rd District is overwhelmingly Republican, Allen predicts victory. "I think we have a rare opportunity. I think it&apos;s a moment in history where there is so much frustration with the Trump administration." She said her polling show residents like Trump personally, but are frustrated with his politics. The family doctor who lives in Cottonwood Heights adds, "I want to advocate for people&apos;s health care. I think everyone deserves it. I believe it&apos;s a right. And I think I&apos;m uniquely qualified to have that discussion. I&apos;ve been in the trenches a long time."